Here at Minibugs we like to celebrate successes and good practice across our sites. This is part of the reason why we set up an ‘Employee of the Term’ recognition scheme. At the end of every term we ask our staff to nominate a colleague that they feel has demonstrated the Minibugs values and has gone above and beyond their normal duties to deliver an outstanding childcare experience and working environment throughout the term. 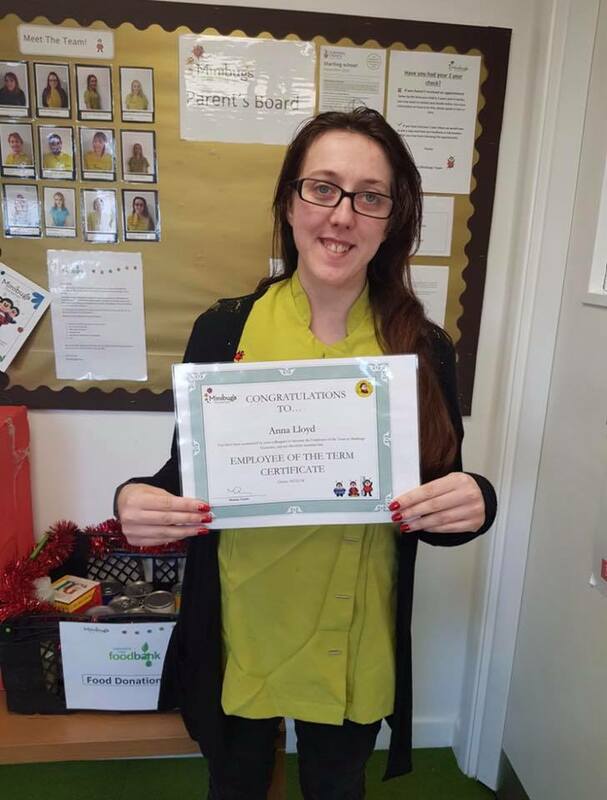 We would like to congratulate Anna for winning the Employee of the Term award in December. Anna is a Nursery Practitioner at our Liskeard site and was nominated by lots of her fellow colleagues for being so hard-working, getting stuck in, offering help wherever she can and also for having a great work attitude. Well done Anna! Enjoy your reward. Ofsted - Our Journey to Outstanding Confused about your Childcare Choices?